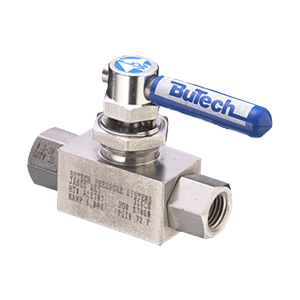 BuTech High Pressure Valves & Fittings | FLW, Inc.
BuTech high pressure valves are designed for liquid and gas flow control. Available in a variety of body styles, the valves are designed for manual operation in temperatures ranging from -100°F to 600°F (-73°C to 315°C). Optional packings and/or extended stuffing boxes increase the range from -423°F to 1,200°F (-253°C to 648&Deg;C). Rugged construction provides assurance of fail-safe operation at pressures up to 150,000 PSI (10,340 bar). 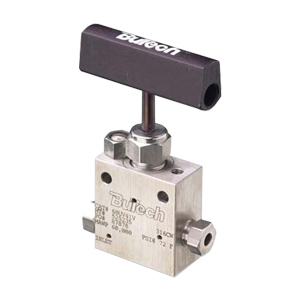 BuTech high pressure valves also can be fitted with pneumatic or hydraulic actuators for remote control. FLW proudly carries a large inventory of BuTech product. In addition, we have BuTech product specialists and engineers with application engineering expertise that you won't find anywhere else. We are experts in high pressure. Our experienced BuTech product specialists we can help with answer application questions or select the right valve.